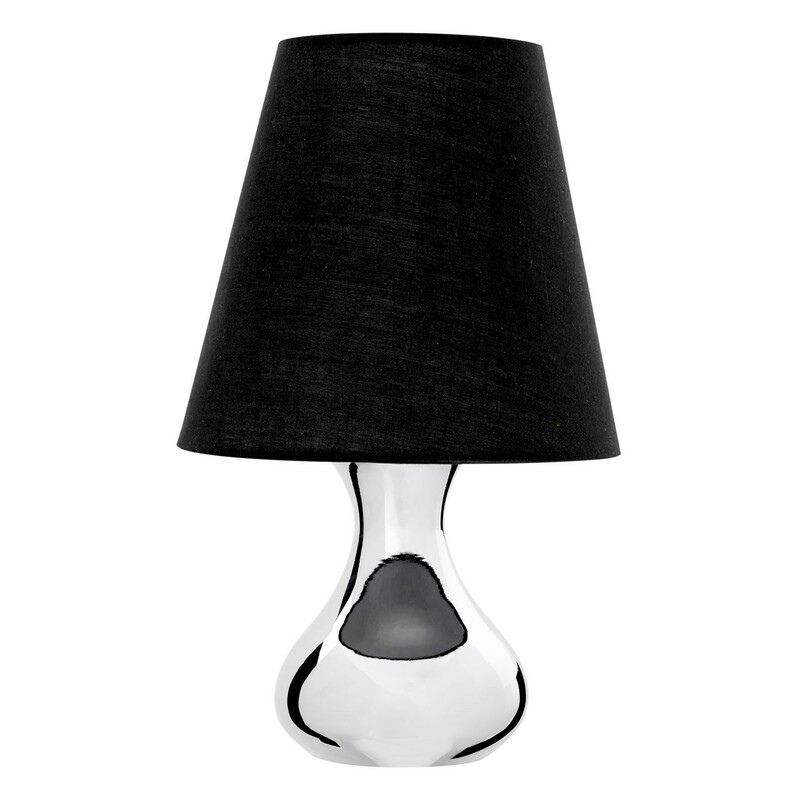 The stylish table lamp has a beautiful chrome base that will glisten under the light and black fabric shade. The lamp will add a statement piece to any room of your home, complementing both contemporary and traditional decor. Care instructions: Wipe clean with a soft cloth; do not use abrasive cleaners.